1. This lady has an amazing sense of style and self. Her wardrobe is simultaneously effortless and completely unique. Love it. 2. She is her brand. 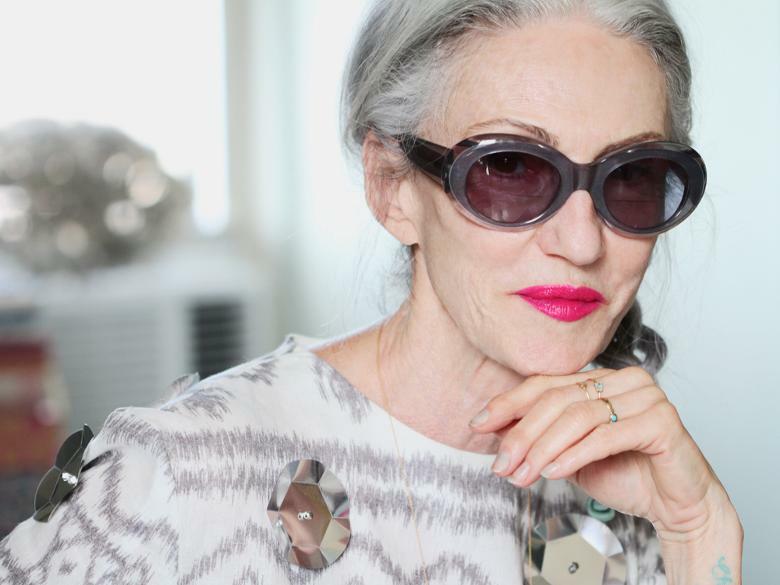 Ms. Rodin is currently stirring up a lot of buzz about her amazing line of skin-care and cosmetics – all of which are as timeless and awesome as she is. Gotta admire a lady with a little business savvy. 3. You HAVE to love her theory on exercise: “I tried yoga — hated it. I tried Pilates — hated it. Then I just said, “F-ck this, I hate exercising anyway.” I’d rather stay home, read a book, stare out the window, do anything, really.” YES. 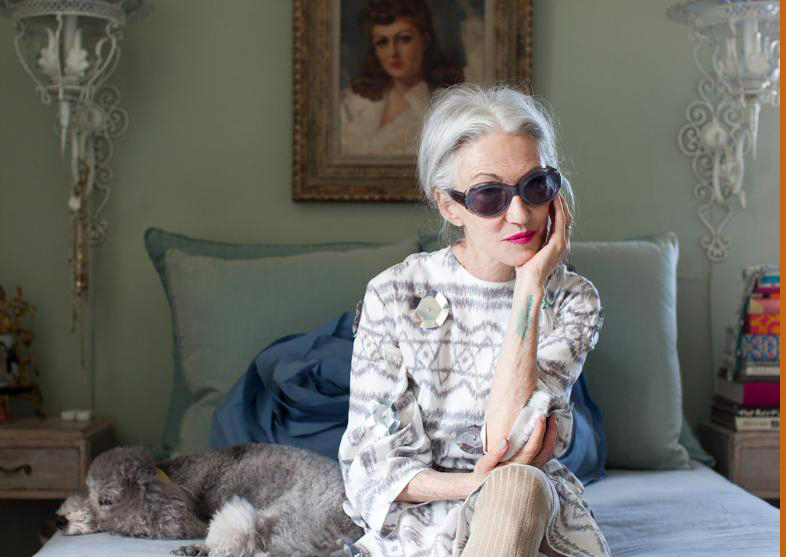 Basically if this is what 63 looks like, I am real pumped to get there. High five for a lady with a little moxie. Images from Daily Candy + Refinery29. Click for original articles and photographs. This is what we need! Amazing role models – women with ideas and chutzpah and stylish and interesting as well. I agree wholeheartedly! Thank you for your comment: I am glad you enjoyed the post. This entry was posted on June 28, 2013 by elisabeth in fashion + designers, inspiring styling and tagged fashion stylists, Linda Rodin, Rodin.